Recently, I decided it was time to get healthy. You know when you reach that point in life when some of your behaviors (like eating sugary foods, not exercising daily, etc.) will catch up to you if you don’t make a change? So, I started my “healthy journey.” About two weeks in, my muscles were aching from my intensive workouts (OK, intensive for me), I missed my midday sugar rush, and the water, how could one person be asked to drink so much water? But something told me that even though I hadn’t seen any great gains yet, I was on the right path to better health and shouldn’t give up. This caused me to pause and think about the people we work with in Multisystemic Therapy (MST)—the youth, their families and the key community stakeholders. When they are enrolled into MST treatment, we ask them to stick with us for three to five months (a little longer for some of our adaptations), and things will get better. We offer hope that if they work with us intensively using the MST model, change will happen and they will gain skills to better manage their young person. This will lead to the youth becoming more active with pro-social peers and activities. MST is no silver bullet, but by letting us into their lives and opening themselves up to using our principles and analytical process, families can be empowered to live successfully. We often say up-front that things will get worse before they get better (like my muscles hurting), but they will get better. But what happens when things get far worse before they get better? What happens if the family and/or the stakeholders don’t want to hang in there? What happens if they are completely shocked by things getting so much worse? Often these are the times treatment is disrupted too soon. The level of tolerance for the youth’s behaviors is so low that riding the muscle ache of them feels almost unbearable. I have heard folks say, “Well, I thought things were going to improve with MST, and now, they are just worse.” Another thing people say is, “If I knew he was going to act that way when I tried to put in limits, I would have never agreed to try that.” Or worse, the youth is summoned by the court because she has run away or become physically aggressive to up the ante and show everyone this MST thing isn’t working. Amy, a mom whose son was referred to MST in Minnesota, was feeling just this way. She was optimistic and ready for a miracle when she first met her MST therapist, but she learned quickly that it was not going to be as easy as she’d hoped. When she first tried to set limits, her son became even more aggressive and made threats to run away. After several weeks of hard work, he was still belligerent way too often. She started to feel that MST, or any treatment, for that matter, would not help her child. Lucky for Amy, she had an experienced MST clinician who knew it was going to get hard and was not put off by Amy’s thoughts of hopelessness. Amy and the therapist sat down and reviewed her goals. They looked back and rated the intensity, frequency and duration of her son’s aggression from the start of MST treatment to present day. Amy was surprised to see that the frequency and intensity of his aggression had significantly decreased since MST began, giving her the energy and renewed hope to keep going. During defeatist moments like Amy’s, MST therapists “hold the hope”—they keep cheering. “Hang in there just a little longer, don’t give in and give up!” The tried-and-true MST model has demonstrated time and time again when things look their worst, it is just about then that the youth and family are close to turning the corner, and real behavior change is about to occur. Take advantage of that full dose of MST. Don’t shortchange the youth, the family or the community by removing the youth from the program. Hold on before placing the youth out of the home. Ride out the “storm” with us as we work collaboratively with all systems to affect change around the youth, and give time for him or her to respond. Be honest about your fears, your concerns, your loss of hope, and be open to problem-solving those concerns. Stories like Amy’s remind me that, like me, families didn’t get out of shape overnight, and they won’t get back into shape overnight. 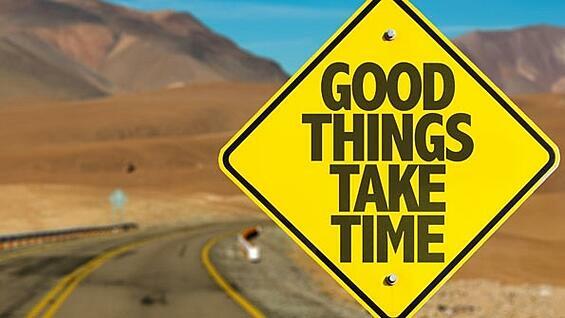 It will take time and a lot of hard work, but in the end the journey will be well worth it.